Gillian Darley’s marvellous cultural history of factories – Factory (Reaktion, 2004) gave me the starting point for my research. 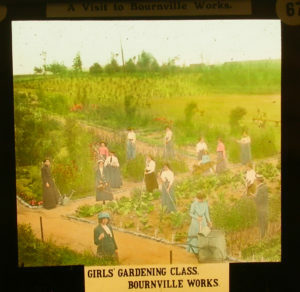 I was intrigued by a photograph in the book showing female employees at Cadbury in their garden at the factory in Bournville and wanted to know more. 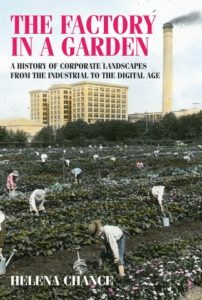 I found far more examples of factory gardens in Britain and the USA than I expected. Yes, Dayton, Ohio, which in the early 20th century was one of the leading industrial cities in the USA and is now one of most economically challenged cities in the USA. Also I went to Pullman, an industrial village near Chicago, now being gentrified, and the Hagley Research Library in Delaware which was astonishing in its scope, the beauty of its setting and the helpfulness of the staff. Working with company archivists, particularly Jeff Opt and Curt Dalton at the National Cash Register Company archive at Dayton History and Sarah Foden, the Cadbury archivist at Bournville, near Birmingham. Knowing when to stop re-writing and editing and be satisfied. This is my first published book, although I have two book chapters. 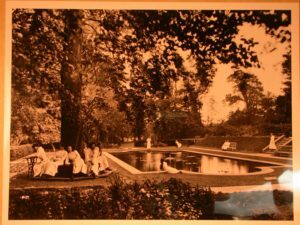 The first is about the American novelist Edith Wharton and her influential books on interior design and gardens, in Edith Wharton in Context (Edited by Laura Rattray Cambridge University Press. 2012). The second, in The Cultural History of Furniture in the Modern Period (Bloomsbury, 2018) is a cultural history of furniture in public places in the twentieth and twenty-first centuries. MUP has a strong reputation for high quality publishing in social and industrial history and art and design. I also heard over the academic grape vine that MUP has a good reputation for courteous treatment of authors. You have lived up to it, thank you! I tried to write it to be accessible to a general audience as well as to academics. I am working with on a project called ‘The social landscape of industry’ starting with the High Wycombe furniture industry (working with High Wycombe Museum) and moving on to Stoke-on-Trent and south-west Birmingham. 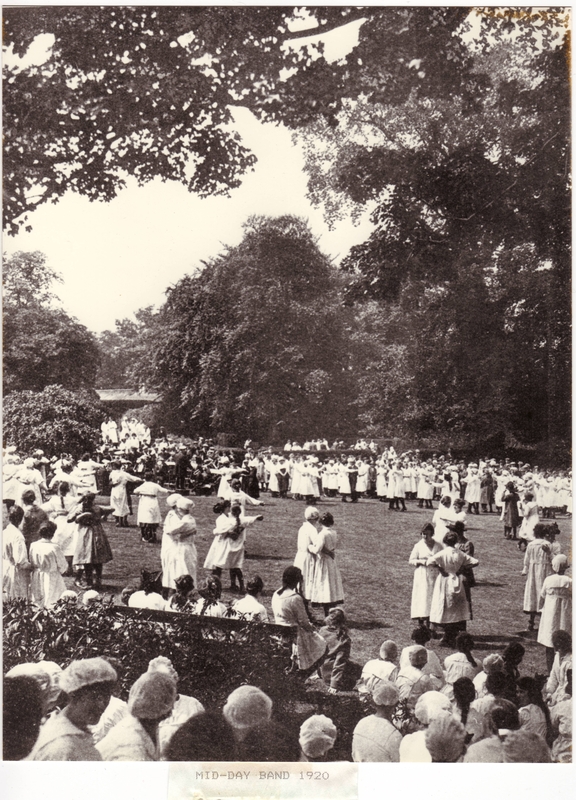 The project looks at the ways in which industries in ‘single- industry’ towns or regions shaped the local social life with their social welfare programmes, sports grounds and social centres. The ‘Cadbury’s Angels’ resting in the Girls’ Grounds at Bournville, c. 1900. The girls reading a book reinforces the message of respectability and self-improvement in a high-status environment. 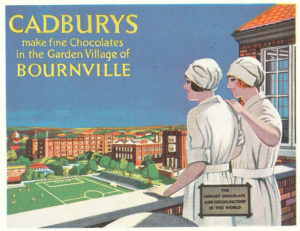 Cadbury advertisement, early 1930s. Employees dressed for hygiene in the factory look down over the Men’s Recreation Ground from the roof of the Girls’ Grounds pavilion. 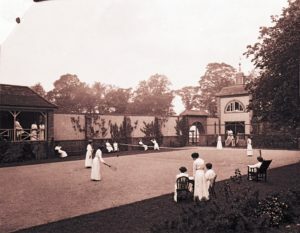 A carefully composed photograph of tennis in the Girls’ Grounds at Cadbury, c.1910. Pavilions converted from the old stables of Bournbrook Hall overlook the court. Category: Cultural Studies, Design	0 Comments.